The hub "Angels Among Us" by Ripplemaker inspired this project which recognize Hub Angels dwelling in this community and beyond. Love Bursts are what I call the random acts of love expressed by those who reveal their true nature as that of love. I chose the term "bursts" as a way of capturing the spontaneous combustion that occurs when love is allowed to flow. Combustion after all is a process in which a substance reacts with oxygen to give heat and light. That is what love does - it gives warmth and light to the recipients and the giver. This is a segue to They Hub Among Us where I continue to pay tribute to the next 10 Hub Angles on my list which I lovingly call Empowering Hub Angels. 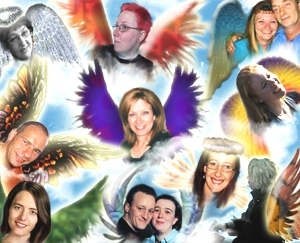 This time I chose to pay tribute to these angels by featuring their respective hubs that display a sample of how they create Love Bursts in this community. I also included a humble gift of gratitude to these angels in a form of Photoshop art featuring their respective avatars. It is my hope that the "artwork" be received with gladness. Ananta65. I first encountered Ananta65 through Ripplemaker's sharing. When I read his hubs, comments and forum replies I sensed he was one deep spirit who likes being "playful". His Letter To My Dad hub is a Love Burst that reveals much of where he is coming from. He is a tender and gentle heart too. Yes, the truth he expresses in his various hubs may be too tough for many to handle but I take it more of an empowering experience. One can't help but reflect on their respective truth and reality when they get involved with his hubs. Thank you, Ananta65 for empowering us. The seemingly "hard to swallow" facts you put forth are actually love bursts that makes us become better expressions of who we truly are. Bonnie Ramsey .Love Bursts of empowerment are evident in A List of My Business and Motivational Hubs. Her positive spirit makes one feel light and hopeful even when she tackles sensitive issues. She's very respectful to those who may have a different opinion on matters in focus. I sense her calmness amidst tension and her courage to stand by her conviction effortlessly. Thank you, Bonnie for Love Bursts that help people achieve their dreams. Providing simple practical guides and proper motivation can truly help those who do decide to act on their dreams. Your efforts are much appreciated. 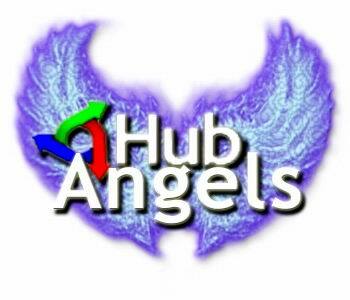 The Hub with instructions on how to go about making your own angel hubs. G-Ma's tribute to her mother. Gamegirl is an exciting angel to watch because she always has something up her sleeves to get the adrenalin of Hubbers going. Her games hone the skills of those who actively participate in them and the TPAM Positive Reaction Thread she initiated is adorable. The hub that got my heart to my throat though was one she called, Positive Messages for Teenagers. This is one Love Burst that explodes. Thank you Gamegirl for the pulsating ways you empower us. Amidst the goggle account problem you encountered, you have remained strong and steadfast in your resolve to use this community as a place to share your gems of wisdom. This is one love burst that exposes your strength of character. Your blazing orange hair (and more recently your whole face) is not the main thing that gains our attention rather it is your capacity to love. When I first read Inpirepub's profile I was awed at her mission statement and sent her a fan mail about it. When I read her Hubs I admired the way she was empowering children to manage finances which is one forceful Love Burst seen in her hub called Business Ideas For Kids. We need this kind of effort in the Philippines to help the young come out of their poverty mindset. When I see her in forums I get a glimpse of how she becomes a catalyst to changing mindsets. She is one intelligent and passionate being who is not afraid to speak her mind. She makes you think things through and in the process empowers you with strength, wisdom and grace. Thank you, Inspirepub for the empowering us with a more analytical mind - a love burst of a different kind. Jimmythejock is an engaging Hubber embraced by a wonderful angel that makes his "flights" doubly exhilarating. Whenever I read any of his hubs and forum posts, I find myself wearing a smile similar to that contented one he dons while embracing his angel. He writes guides and tips with an out of the box treatment which makes the hub more interesting and amusing. The Hubpages Gardener is a good example of what I mean. Jimmy, you empower us with your creativity and amiable energy. Your love bursts never fail to bring a smile to our hearts. Thank you, oh so dearly. Maddie is a Hub sweetheart with might. She writes about topics that benefit many as can be seen in her best hubs list and her bestseller hub The Truth About Wu-Yi Tea. She gives support, guide, encouragement, and inspiration to Hubbers in whatever manner she finds fitting. She knows when and how to straighten things up when unpleasant sparks begin to develop in forums. She puts the fire out with her love bursts that come in the form of gentle reminders, diplomatic warnings, some patient explanation of rules, "snipping" acts and closure of threads. Hubpages is fortunate to have her on board their team. Thank you Maddie for the love bursts that help keep this community a pleasant place to dwell in and evolve. 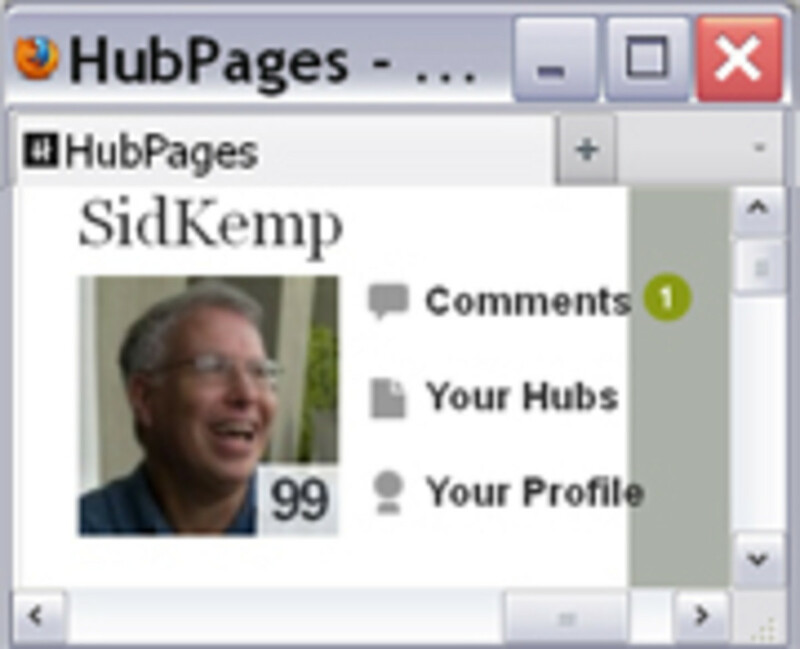 Madison Parker maybe a relatively new Hubber in this community but she is one of many who had the courage to deal with the pain of losing a loved one by writing hubs about it which ignited the overwhelming compassion present in Hubpages. Love bursts of this nature bring out more love bursts from other members. Like many of us Hubpages has become a healing ground. Thank you Madison for the courage and strength you have displayed. Your hub called Whose Fault Is My Life Anyway is what I would consider a motivational hub filled with empowering love bursts. I know many Hubbers can find more treasures in it and that is beautiful thing. Shirely Anderson's love bursts run deeper than what she reveals in her writing and her comments. I have had the opportunity of experiencing this love in a more personal level and I am honored for the trust she has accorded me and Ripplemaker. Her passion, her energy, her depth is so strong that it defies time and space. In fact, Ripplemaker and I have embarked on a plan we call "Project Canada", designed to bring us face to face with her and her good friend, the bubbly energetic hubber Dottie. The connection the four of us have established is so strong that it wants to develop even more. I just know the encounter will be bursting with love. 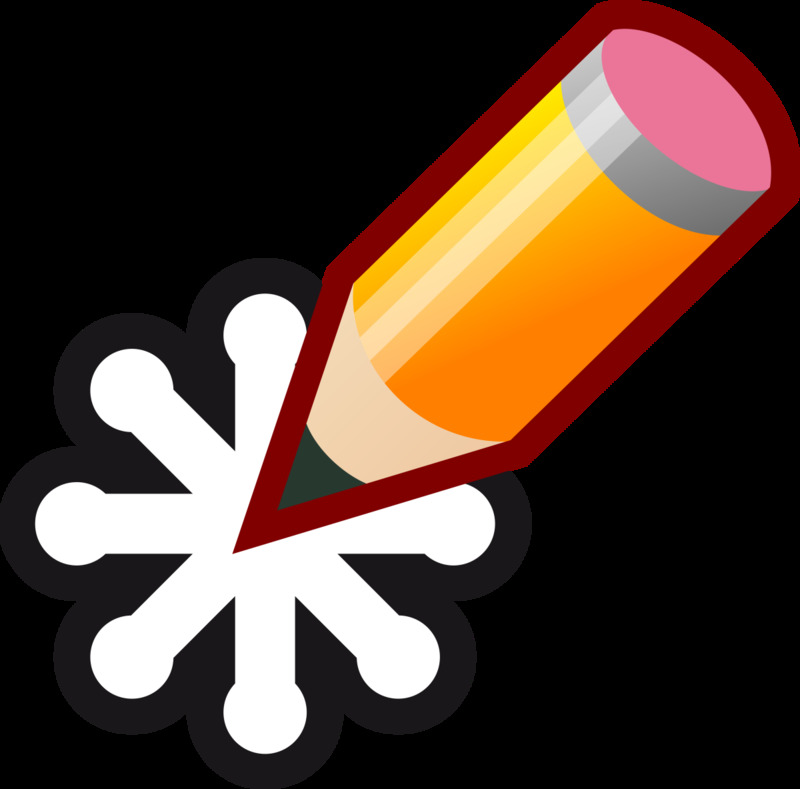 Check her best hub list especially her Places To Sell Your Writing hub and see beyond the knowledge she imparts in every one of them and you will see the love bursts that come with every tip she gives. Shirley, we are truly honored to know we are always in your thoughts. Love and life shared with you is a beautiful empowering experience. The How To Hub is one friendly hubber endowed with youthful dynamism that makes you want to skip along life's pathways with a smile in your heart. Her hubs that share tips found in hubs like How To Create A Search Engine Friendly Hubpage are "user friendly" accented with joyful sparks. The joyful vibration she brings along with her in forums and comment boxes put more excitement and enthusiasm in hubbing activities . My gratitude goes out to you The How To Hub for the love bursts that empower readers on SEO techniques and for the wonderful trail of love bursts you leave in every area in this community. Zsuzsy Bee is one Beeeutiful motherleee hubber that empowers many to become good parents. A sample of her wisdom is seen in her Mom I'm Bored hub. Don't go wondering why her hub score has reached tremendous heights because that's what love bursts can do. Her practical approach to topics comes so naturally that one can actually visualize themselves in the specific scenario she describes. Her credibility is beyond question when she deals with various topics because she draws things from her personal experiences. Zsusy Bee I may not often comment on your hubs but know that I enjoy the way you tackle topics and the humor that comes along with them. Parents with your skills and knowledge are highly admirable. Thank you for showing us the way of creating love bursts in daily life. 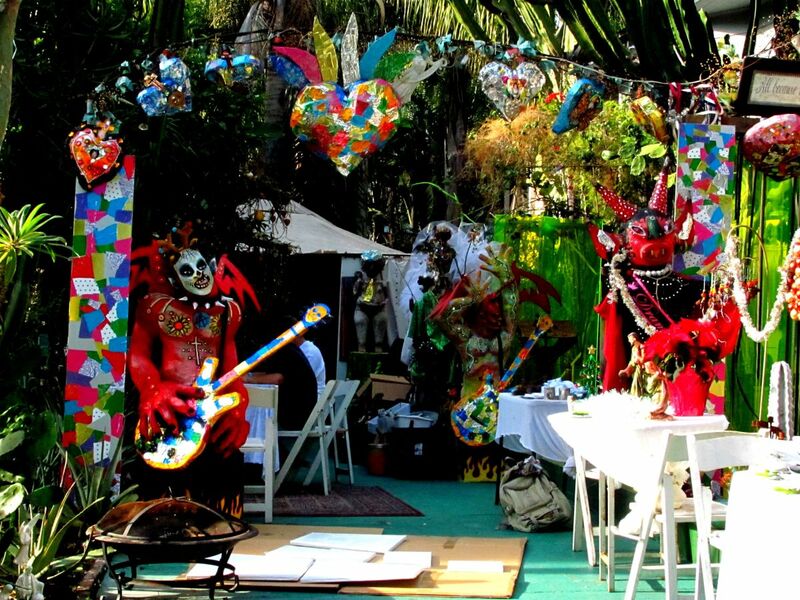 The list goes on featuring 10 Inspiring Hub Angels in Love Bursts From Hub Angels -2 . Do come back and join me in honoring them as well. Wow. Very entertaining and interesting hub. Hahahahaleluia! You found your way here! I laughed with delight about the purple wings! I never knew it was your favorite color but I just had this urge to make you purple wings. It just felt right. LOL. Now I know and I am pleased. The connection is getting stronger indeed! I can't wait to read your Christmas Angels hub. Expect an email from us soon. Thank you for the friendship. Canada--- here we come! Daisy, another beautiful hub!! I was reading along and came to the picture of the faces and was surprised to see mine in there. Then, my first thought was...how did Daisy know that purple is my favourite colour, she gave me purple wings and I love them so much! Thank-you for that. Thank-you also for your incredibly kind words, which brought tears to my eyes. Last week, I started a Christmas Angels hub (not published yet) in which I mentioned the Canada trip, as well. We'll make this happen! Thanks for being you, so sweet and loving. Jimmy your comments made me smile from ear to ear. I sense you getting embarrassed and all. I say, it's real healthy if we pause daily to acknowledge the goodness in ourselves. It helps build "happy" cells. LOL. I bet your wife could give you a great run down of all the good qualities you possess. Angels are taking over the world! and How fabulous and needed this is in todays society! Rochelle Frank it's always a pleasure to find you visit and comment. I encourage you to come back when I publish part 2 as you may just find someone there you know deeply:) (hint). Thank you for such perceptiveness: Be blessed always. Very kind of you to regognize the 'angels'. Obvously you have taken the time to read a great many good and positive hubs, and point htem out to others. Nice tributes. great hub. I almost missed this one. I feel honored and humbled, Dayzeebee. To be honest, people don’t have to swallow my hubs, but I do appreciate it if they at least chew on them for a while. After all, I’m not telling THE truth. I just share some of my thoughts and views, which are colored by my perception. So, by all means, do not look upon my hubs as factual. Never stop to think for yourself, never stop to question. As for yourself, do continue. Your warmth and love show through your hubs, spread your glow. Daisy: I just checked out your website, and I love it! Beautiful energy, layout, graphics, and writing. Left a comment! Have bookmarked it to check it out often. Dayzeebee! I'm absolutely speechless. I haven't had much time to read hubs in the past few weeks and I would have missed this one if Michell would not have pointed me in the right direction. Thank you sweet Lady for the compliments it's really humbling to be chosen to wear those wings. I agree Lady Guinevere, respect is that which allows unity in diversity, oneness in individuality, and create perfection of love in the imperfection of things. You should be yourself on there to humbly bring forth other's and put them in our minds. For the first time, I am speachless. This is a great place to be and all th epeople here are so very different then those of the groups like MSN, that is now breaking up. People here are truly respectful of other's experiences and thoughts and words. Dayzeebee: You are indeed talented, WOW, you created a beautiful work of art with the wings and colors in the photoshop collage; I love the effects. When I do websites, my sis helps me with the art and creative part because she is really talented. Yes Lady Guinevere Hubpages is one of the best communities to be around because of angels like you. Your gift help many to explore endless possibilities. Thank you for your presence. Extradionary hub and great tribute to wonderful and kind hubbers. It is really amazing how you used photo editing software to attach angel wings to them. I am without words. You are too kind. 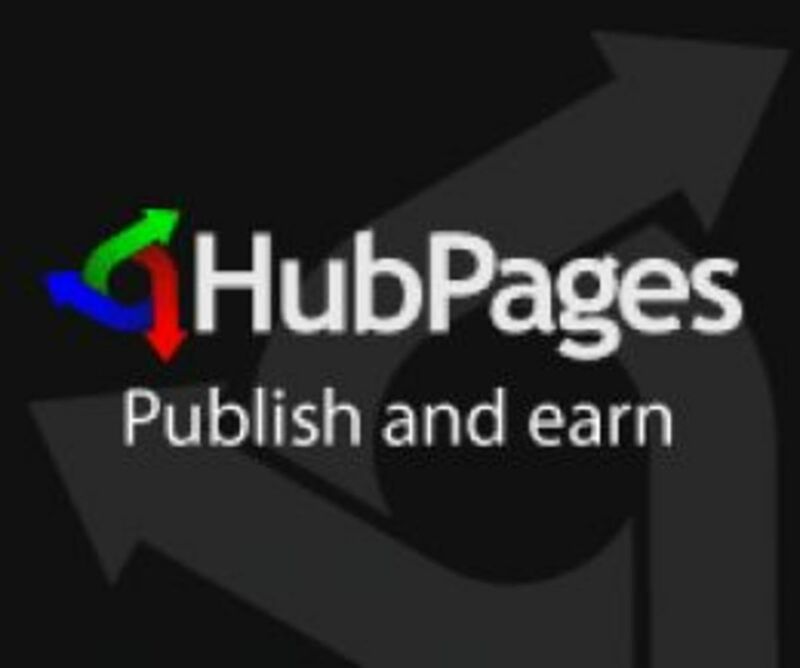 HubPages has given me so much more than I feel I have contributed. For me, it has been a healing-ground, as well. When I started to write about my loss, I wrote about it because I HAD to write about it; it was important to put my feelings on paper to try to make sense of them. Later, as I began to heal, I hoped that my experience could be helpful to others who were struggling through the grief. Thank your support; now, I do really hope the words hit a note with someone in trouble. This is a great hub. Kudos to you for recognizing Hubbers who make a positive contribution! 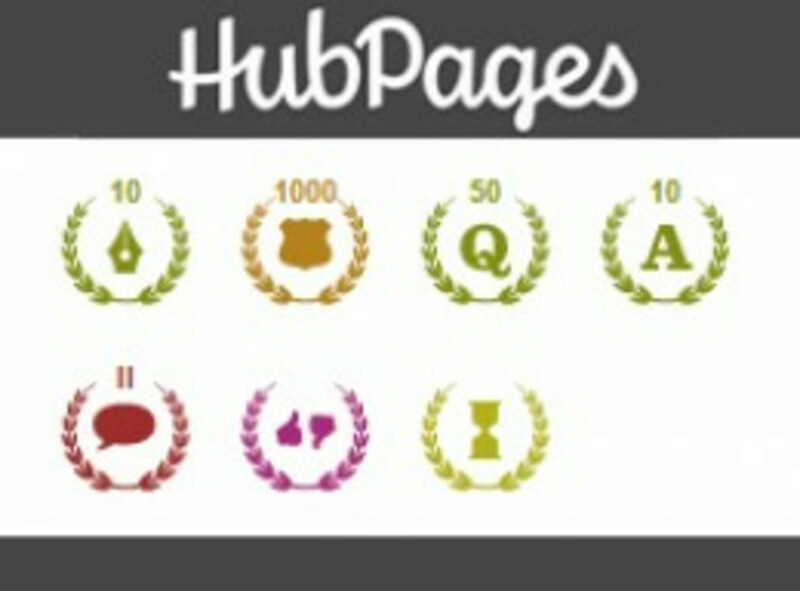 I have found Hubpages to be incredibly the friendliest place around. It pulls you in when there are friends to come too and this is certainly one of the best I have been in so far. One great and mighty love burst from our loving hubpage sweetheart, Dayzeebee. :) Thank you for sharing another angel masterpiece. Thumbs up. Oh my gosh Dayzeebee!! I love you! Ripplemaker I rejoice with you. This is a long overdue hub and I'm glad I finally published it. It's always good to honor those who touch our lives. Gives me that life is soooo goood feeling. Thank you for your inspiration else this angels series would never have materialized. Love you much. Great piece, as if it was going to be anything else? I'd add SteveMark122000. He's my go to, end referral, guy when I'm looking for well-researched, non-pharmaceuticel, health advice. Hahahahha I love this hub dayzeebee! There are more hub angels around wheeeee!!! I agree with what you wrote here. And I too have been touched by these hubbers. :) I feel so good inside reading this hub and honor them along with you. The photos look great! :) Keep loving as we meet more angels everyday!